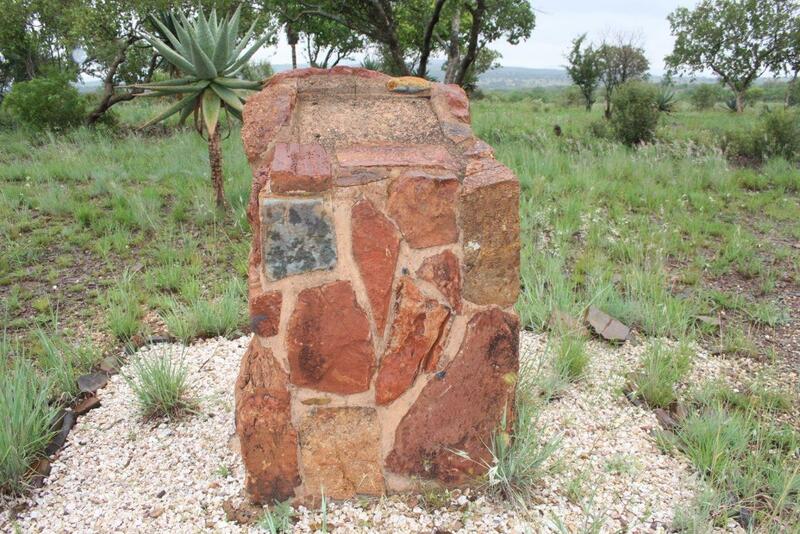 The British wanted to defend the Pretoria-Mafeking railway line and placed a guard post on the farm Brakrivier of which Colonel Charles Owen Hore was in charge. The camp was situated on a low laying plateau next to the road. The camp contained about 500 men, of which 299 came from the Queensland Imperial Bushmen (volunteers from Australia – who joined the British in their fight against the Boers). 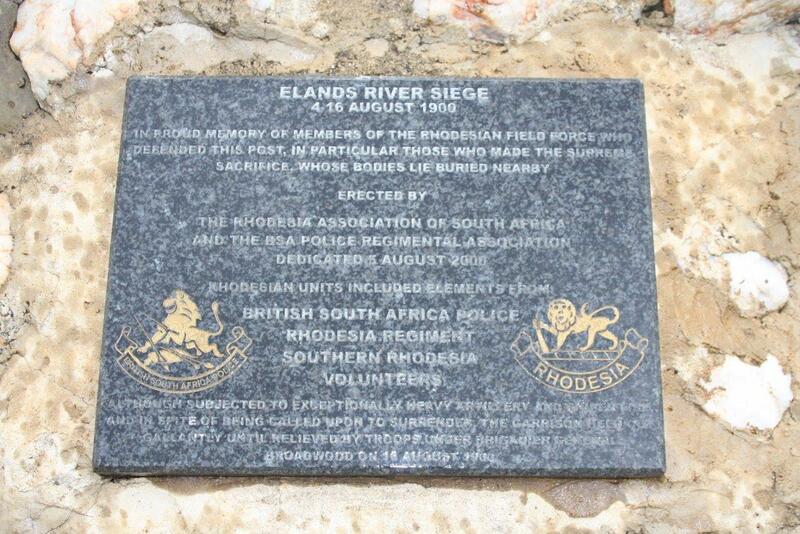 The rest were from the 1st, 2nd and 3rd Rhodesian Field Force. There were heaps of supplies stored at the Camp. As a result of numerous setbacks encountered in the Western Transvaal, Lord Roberts decided to evacuate the remote outpost. 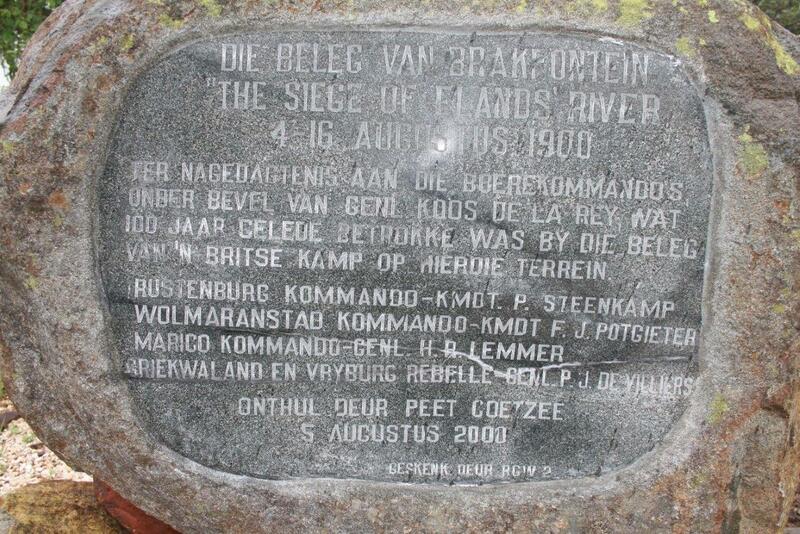 The patrols of the outpost were continuously involved in skirmishes with the Boers. He sent General F. Carrington with 1000 men as well as six cannons to assist the move of the outpost to Mafeking. On the 2nd of August, a convoy of eighty wagons arrived from Zeerust, ordered to remain at the outpost at Elandsriver on the arrival of soldiers who were to accompany the convoy to Mafeking. No one in the outpost was aware that the commando of General De La Rey, consisting of 500 men, surrounded the camp during the evening of 3rd – 4th of August. Early on the morning of the 4th of August, a small group of soldiers went to the river to water their horses. Suddenly shots rang out. Everything was suddenly in a shambles. The first shells exploded in the centre of the camp. General De La Rey shelled the camp continuously with his four cannons – one pom-pom and two meksims. Only after sundown, could the soldiers recuperate. The Australians have had their first skirmish in the Second War for Freedom. Meanwhile, Carrington was still en route to Elandsriver. As soon as he received news of the attack, he left his baggage and Paget`s Horse at the Marico river and made haste to come to the rescue. General De La Rey, awaited Carrington`s arrival with 70 men, one cannon and a pom-pom along the road. The sharp shooters were placed in such a way, that it seemed as if a full commando awaited them. The attack was so fierce, that Carrington had no choice but to retreat. Generals De La Rey and Lemmer were short on his heels as he fled up the bank of the Marico river and finally into Mafeking. On the 5th of August, Lord Roberts ordered Colonel R.S.S Baden-Powell to go and try to save Hore. 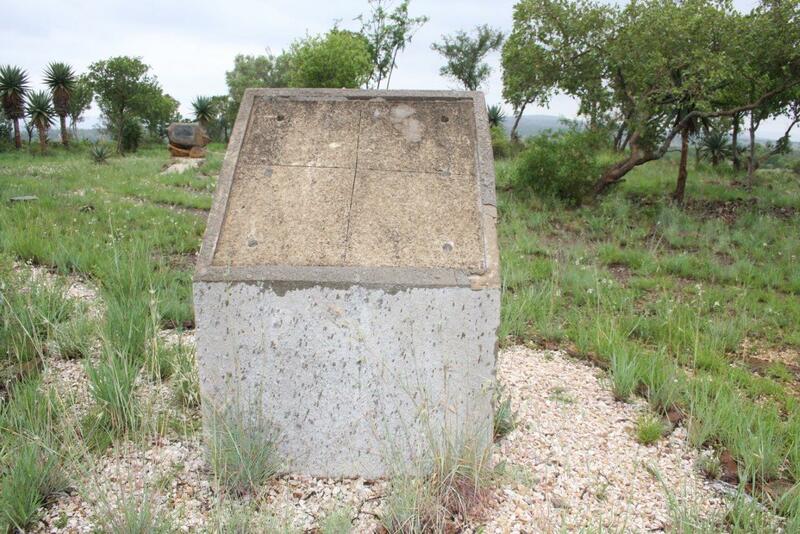 He was already close to Elandsriver when he again received orders from Roberts to return to Pretoria. He was so close that he was able to hear the exchange between Carrington and his pursuers but did not realise what was going on. He thought that Carrington had already reached Hore, and that they were already underway to Zeerust. Carrington again, was convinced that Hore had already surrendered. On his return, General De La Rey sent a messenger into the camp with his conditions for their surrender but this was rejected after discussions between Hore and Major Turnbridge. General De La Rey sent a telegraph message to De Wet to come to his assistance but De Wet was unable to do so. Lord Roberts sent thousands of British soldiers to pursue him, and he was in the process of evading them at that stage. The message was also intercepted and was already in the hands of the British superiors in charge on the 13th August. A messenger of Hore succeeded to reach Mafeking undetected and Pretoria had to realise the Hore was still trapped at Elandsriver. 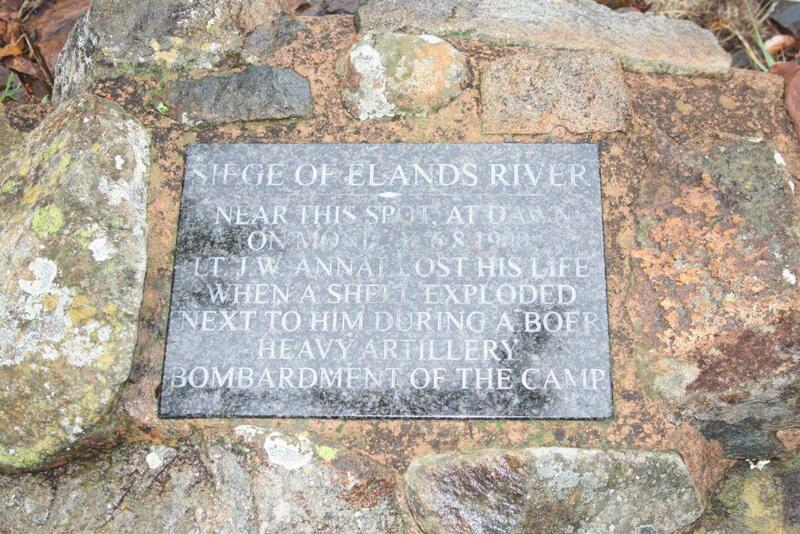 Lieutenant Annat and a group of Queenslanders eventually tried to capture one of the pom-poms of the Boers. They succeeded to force the men to fall back but were unable to obtain the pom-pom. General De La Rey bombarded the camp continuously. On the 8th of August, a shell hit the hospital. The dead were buried at night, as a funeral during the day would have been too dangerous. The funeral goers were also mistaken for trench diggers, and at times had to seek refuge in an open grave. Only officers were able to attend funerals, as Hore forbade the men to leave the trenches. On the 10th day of the siege, the tempo of the bombing started to gradually slag down. 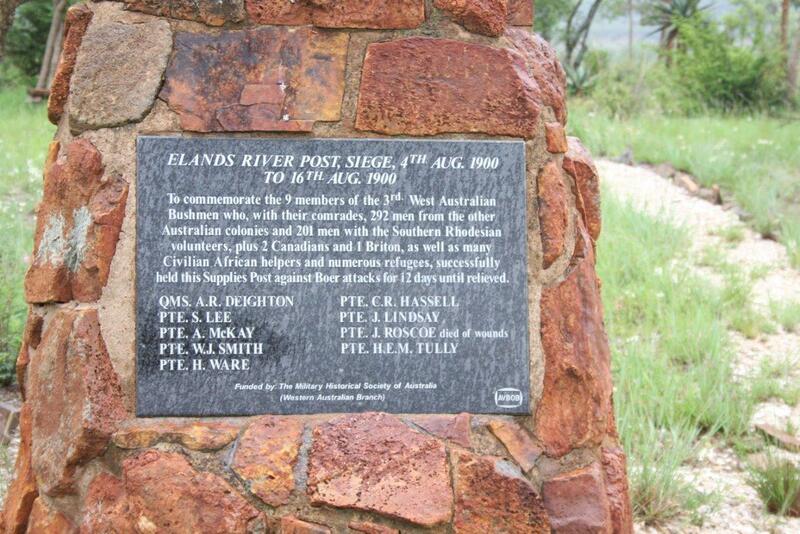 To the surprise of the camp, the Boers did not return fire on the 15th of August. General De La Rey received warning that Lord Kitchener were on the way with enforcements, and decided to withdraw. At the end of the siege, 22 men perished on the side of the British and were laid to rest in the military cemetery at Swartruggens. 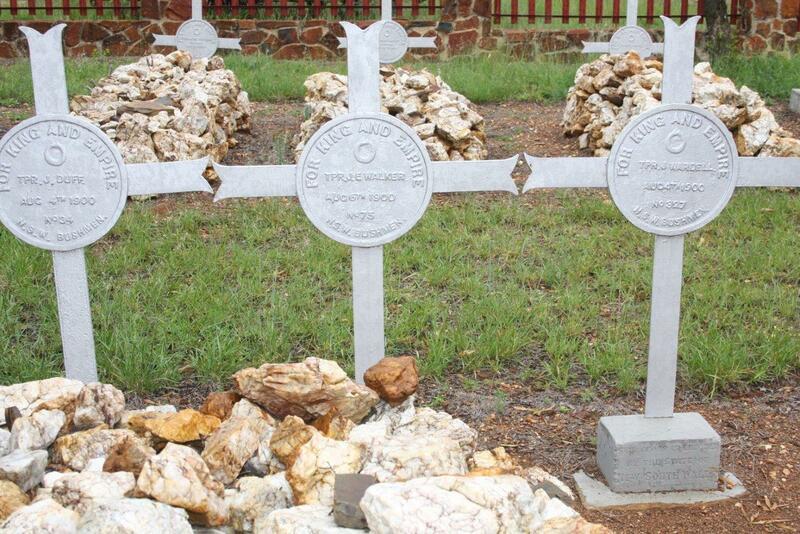 On the side of the Boers, 4 men perished, and according to the book of Elria Wessels “Veldslae in die Anglo-Boere Oorlog” they were also buried there. We visited the area, but were unable to find any marked Boer graves. 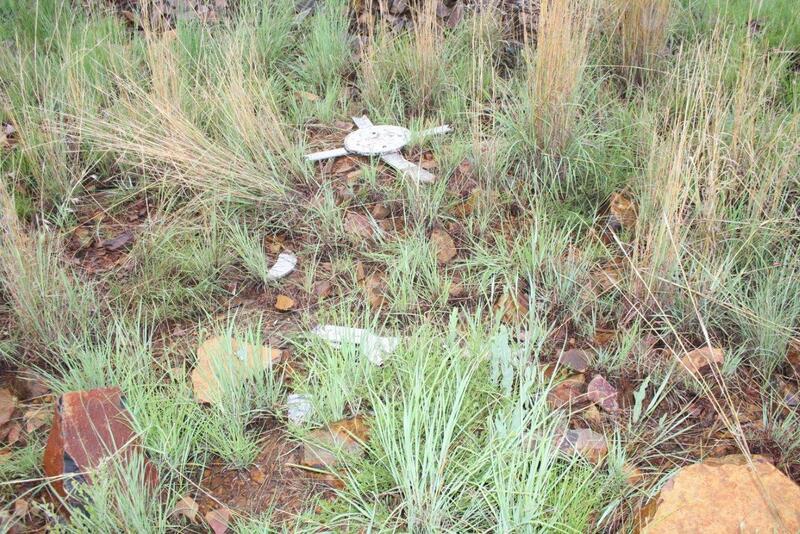 The military cemetery was also vandalised and some of the grave markers have been strewn meters away in the grass.